The Arena is shown here shortly after opening on September 23, 1929. It was intended to be the permanent home of the National Dairy Show, but the Depression bankrupted the promoters. It was nearly torn down in the 1930's. During WWII, gliders were built inside! It was poorly maintained in the 1940's. 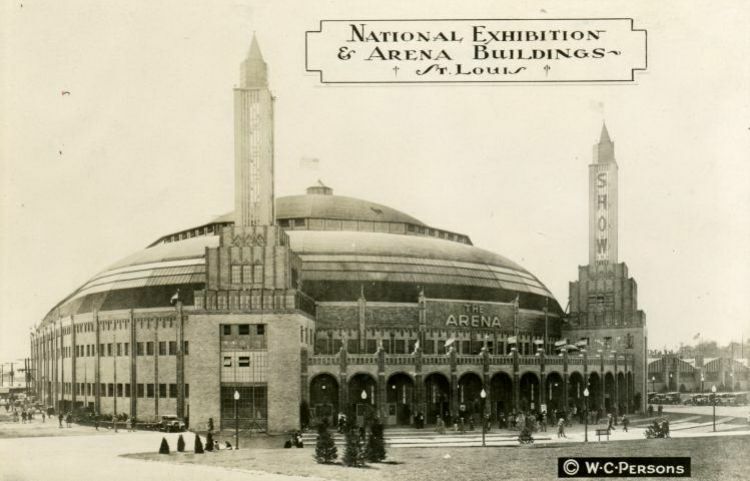 After Sid Solomon Jr. was awarded the franchise for the NHL St Louis Blues, he spent millions renovating the structure.